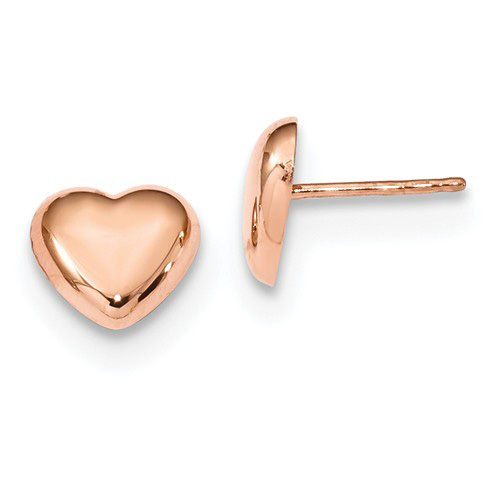 These smooth polished heart post earrings are made of 14kt rose gold. Earring size: 8mm x 8mm. Weight: 0.9 grams. Made in Turkey.